Two teams, chosen for their hard work and selflessness, stand-off in a 3-challenge competition. 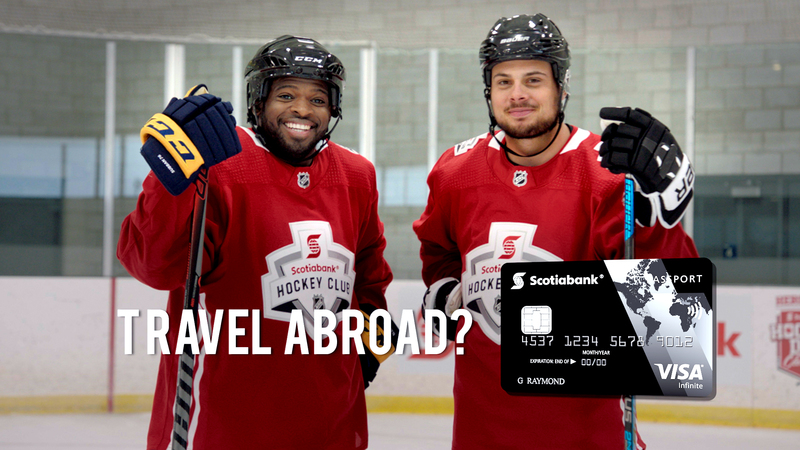 But only one will win the hockey experience of a lifetime: A trip to Scotiabank Hockey Day in Canada! Will it be the Belleville Bearcats or the Lake Bonavista Breakers? Watch full episodes here or on Scotiabank Wednesday Night Hockey on Sportsnet. Which team’s hopes will float away ? Will the Breakers Tie it Up? The Winner is Crowned! Hockey Day in Canada, here they come! Shop online or abroad and enjoy no FX mark-up† with the Scotiabank Passport™ Visa Infinite* Card. NHL, the NHL Shield and Stanley Cup are registered trademarks and NHL Alumni is a trademark of the National Hockey League. NHL and NHL team marks are the property of the NHL and its teams. © NHL 2018. All Rights Reserved. † You will not be charged any foreign currency conversion mark-up, only the exchange rate applies. See the Disclosure Statement for full details.